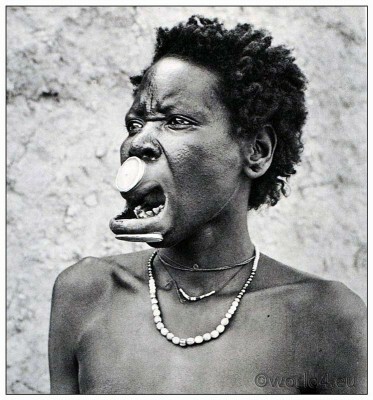 Traditional Musgu woman with Labret Piercing, 1930. 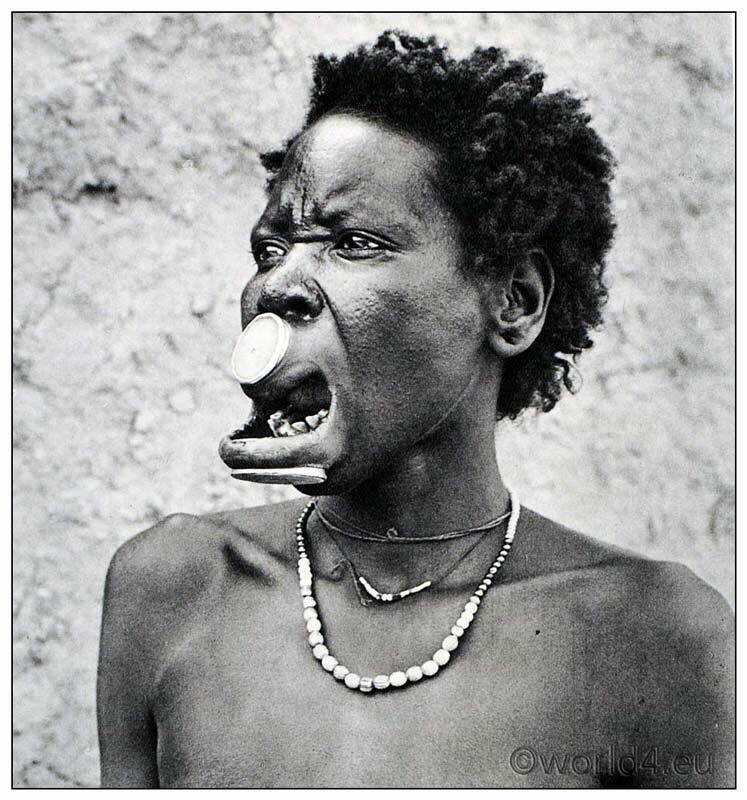 Home » Traditional Musgu woman with Labret Piercing, 1930. Photogravure portrait of a traditional Musgu woman with Labret Piercing. The disc stretches the upper lip. Photography by Jaspar von Oertzen in 1930. Musgum, Mulwi are tribes on the lower Logone River, French Equatorial Africa, today Cameroon and Chad, about 50000 members. 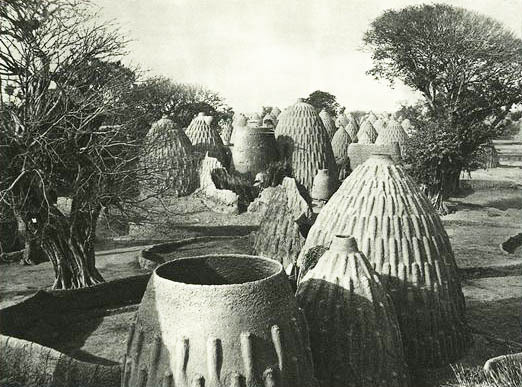 The Musgu live in beautiful compact villages of cone mud houses. This entry was posted in 1930, 30s, Africa, Chad and tagged Traditional African dress, Traditional Chad Costume on 7/15/13 by world4.